Originally the site of a convent, one of the many that Napoleon closed, the Fortuny workshop was established in 1922 as Mariano Fortuny's textile business outgrew his atelier in the Palazzo Fortuny. The showroom still displays some of the most sumptuous hand-printed silks and velvets on earth, manufactured on the Giudecca since 1922. 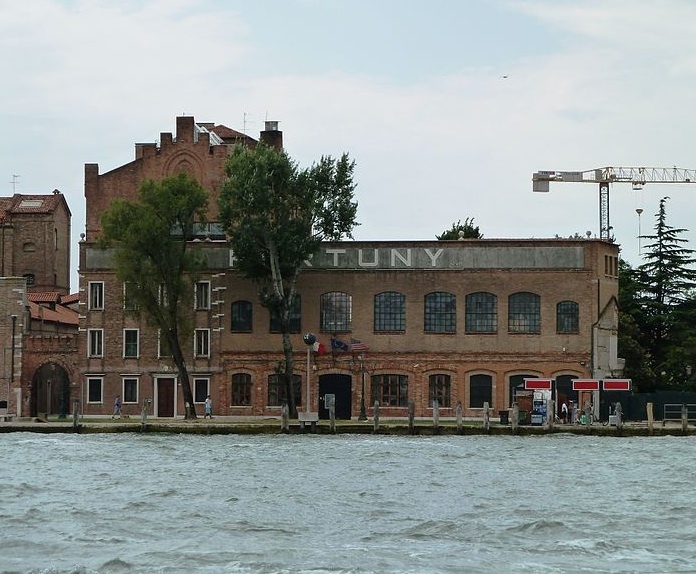 You can ring ahead to book a tour the lovely gardens at the Fortuny Factory, but the factory itself is off limits: the manufacturing process is top secret.